What do the latest trends in artificial lawn ideas all have in common? It’s that they reflect the lifestyles of the people who have them. Why are today’s turf products giving people new ideas? It’s because they are totally unlike the original astro turf that many of us remember. The fact that they look so real and feel so great has led to new artificial lawn ideas. There are other reasons for the surge in their use. Today’s man-made grass products like those found at Watersavers Turf are easy to care for and good for the planet. It can be used in places where real grass can’t be used. With more styles than ever to choose from, more people are getting fresh artificial lawn ideas. In uses that can range from casual to formal, man-made turf is turning up in yards everywhere. It works well in most climate zones. Its other uses, by businesses and in public areas, are also on trend. So a great way to get some of your thoughts flowing is to find out what fake grass is now being used for. These days, it’s not just found in stadiums. 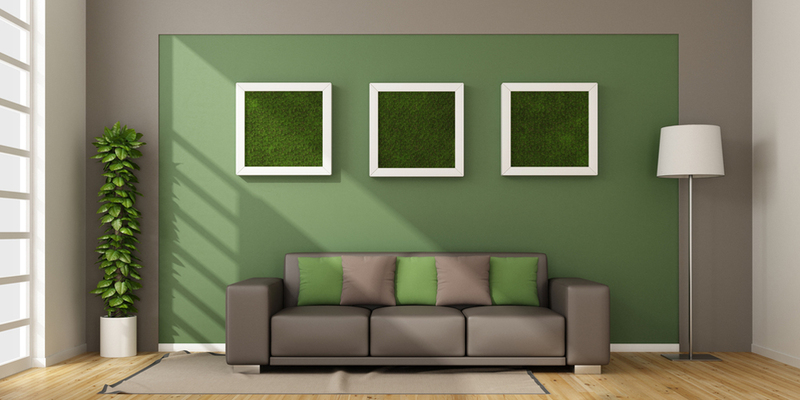 The growth of artificial turf ideas is tied in many ways to home design trends. Over the past few decades, people have wanted to make their homes more personal. TV’s many “home reno” shows are popular because they inspire people. Viewers love finding out what’s new in home design. For the same reason, people want to know about the latest artificial turf ideas. They want to see how others are using it to enhance their outdoor spaces. What has really sparked many of the new artificial turf ideas is how great it looks and feels. That’s why people are now using it to edge their driveways and to border their pools. They are adding putting greens and bocce courts to their yards. They are creating outdoor kitchen areas with it. It’s being installed on balconies and terraces. The design ideas for today’s man-made turf are limitless because it can be used anywhere. Since it weighs far less that real turf, people are using it to make their rooftops into spaces for relaxing and fun. They are using in their yards, often with pavers or other stones, to create pretty and useful patios. What’s behind this renewed design interest in using fake sod? It must be that people see just how far it has come. It looks much more real and performs much better than the products of years ago. People can now choose the look they want from a wide range of turf styles. Plus, once it’s down, there is nothing that is easier to care for – all it needs is to sweep or blow it from time to time. It never needs to be watered, weeded, or mowed. Are you getting the idea that fake grass can be very easy to live with? Using today’s products, it really is. The best backyard artificial grass ideas are the ones that are based on lifestyle. With the use of synthetic turf, any yard can become a custom outdoor area. For families with school-age kids, the vision often focuses on sports and other outdoor activities. Adding active play areas in the yard for kids to use helps them to stay healthier and happier. Put in a swing set, slide and whatever else your kids would enjoy. They’ll have more fun and softer landings on turf that has padding under it. Multi-generational families can use fake grass to create separate areas of backyard use. They can create areas for relaxing, for playing and for dining. It also makes yards easier to walk on, which is safer for older family members. Many families include pets, and man-made turf is great for use in outdoor kennels and dog runs. It is easy to clean and drains very well. Dogs won’t dig it up like they do with real grass, so it stays looking good in your yard. You don’t have to be an expert to put your artificial grass yard ideas in place. Many families enjoy working out their yard concepts by themselves. Other families may want to get some expert help, especially if their project is a large one. The best place to get help with your idea is often from where you buy your synthetic turf. When you buy it from Watersavers Turf, you can be sure that we will help you in every way we can. Our online newsletters and blogs are full of great ideas for how to use our products. You might also want to check out our online catalogue. We have all the tools and accessories you need to put the finishing touches on your yard project. We offer personal help at all our SF Bay Area locations. Stop in to see us and pick up free 1’ x 1’ samples that let you really see and feel the quality of our fake grass. We’ll also be happy to talk about how you can make your designs happen. Many people start by calling us at 844-974-8873 to learn more about the best artificial grass to use for their ideas. You can also chat with us online to get answers to your questions. At Watersavers Turf, we offer competitive prices, free estimates, and great quality. Plus, you should check out our 18-year residential (10-year commercial) limited warranty. It’s one of the best in the business. With your ideas and our turf products, your yard can take your lifestyle to a whole new level. You’ll have more time to enjoy it because it will be carefree as well as whatever else you want it to be. It only takes your great idea and our great artificial grass. We’re ready whenever you are, so what are you waiting for? You can visit our online turf gallery right now to get inspired.